Any foreign national that has been convicted of a crime that can equate to an indictable offense in Canada may be considered criminally inadmissible and turned away at the Canadian border. To enter Canada with a DUI or other criminal record, Americans can apply for a Temporary Resident Permit (TRP) which can enable them to overcome Canadian criminal inadmissibility for up to 3 years. 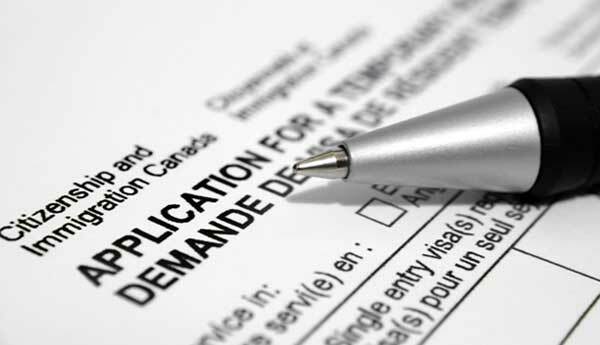 TRP applications are mailed away to a Canadian visa office, and typically take 3 to 4 months to be processed. In an emergency, it is possible to apply for a Temporary Resident Permit at the border. For example, a business professional from the United States might only find out about a very important business trip to Canada a few weeks in advance, which would not give him or her enough time to apply for advanced DUI entry permission. In order to apply for a TRP at the border, an applicant's situation must legitimately be urgent. If you do not need to go to Canada right away, it is always recommended to obtain a Temporary Resident Permit in advance of your trip. In general, Americans traveling to Canada for work purposes have a significantly higher chance of being issued a TRP at the border compared to a person visiting for leisure purposes. This being said, there are some non-work related scenarios, such as the death of a close family member in Canada, that can be a very valid reason for applying for a border TRP. If you are applying for a Canada Temporary Resident Permit at the border, it is crucial for your application to be completed properly with no errors or omissions. If you are inadmissible to Canada due to criminality and immigration officials refuse your TRP application, you can be denied entry at the border and sent home. If you are flying to Canada and presenting a TRP application at a Canadian airport, a border refusal can result in being flown back to the US on the next available flight at your expense. Consequently, it is imperative that your Canada TRP application is done correctly and that it presents the strongest possible case. Our Canadian immigration lawyer has extensive experience professionally preparing Temporary Resident Permit applications on behalf of clients, and can help Americans with a DUI maximize their chances of success when petitioning the Government for entrance permission at the border. Questions about applying for a Temporary Resident Permit at the Canadian border? Phone our legal team today for a free consultation. If you can avoid requesting a Temporary Resident Permit at a Canadian Port of Entry by getting approved for a Waiver ahead of time, it is highly recommended. Applying for a border TRP is not ideal since authorities make a decision on the spot. Americans with enough time to obtain entry permission in advance of travel via a consulate should go this route so they know they are safe before arriving at an airport or land border crossing. Success rates are generally higher through a consulate, so visitors need to be extremely careful bringing paperwork to the border, especially if their travel is not of vital importance or if they have felony convictions or multiple impaired driving offenses. If you wish to obtain a Temporary Resident Permit at the border, you should fully prepare a TRP application and bring it with you to Canada. Some people think you can simply show up at the border with nothing special and then fill out a TRP application form on the spot, which is absolutely false. A DUI is a serious crime in Canada, and if you show up at the border without any paperwork you will likely be denied entry, even if your impaired driving conviction is not recent. If it has been more than five years since all sentencing was completed (including probation), it is possible to also apply for Criminal Rehabilitation (CR) which can permanently overcome a person's inadmissibility to Canada. If you are eligible to apply for CR, submitting such an application can improve your chances of being approved for a TRP.